Astrid is a feisty gal with a heavy history, and her faith is substantial. I loved Astrid because she was unwilling to give in to her age, her condition or her past. She willingly shares the stories of her own life to help another a young woman who needs hope again. Carly is a tough woman fighting the worst kind of enemy. She’s spent her life running and she’s tired. Astrid’s hope helps fuel Carly’s own desire to fight. A beautiful story of hope and strength. Angela’s having the toughest year since her best friend’s passing and now the town thinks she’s the one to run their Christmas celebration. Oh, how I felt for poor Angela. Hope was so beautifully portrayed in this story and it was even comical at times. I especially loved the dog, Blitzen! Both Christmas stories were wonderfully done and put me in the Christmas mood. Easy reading, refreshing and light, I found Colors of Christmas to be a wonderful addition to my Christmas library collection. Sarah Sundin is the award-winning author of the Wings of Glory and Wings of the Nightingale series. During WWII, her grandfather served as a pharmacist’s mate (medic) in the Navy and her great-uncle flew with the US Eighth Air Force in England. Sarah lives in California with her husband and three children. Learn more at http://www.sarahsundin.com. Sarah Sundin is by far the best World War Two fiction writer I have ever read. All of her books take the reader on a journey through time. Whether it’s on the wings of B-52 bombers or in the bows of destroyers, Ms. Sundin makes the reader feel as if she or he were in the story. Through Waters Deep was definitely no exception. In 1941, America is so close to being in the war in Europe; tensions are high everywhere. Mary Stirling works as a secretary at the Boston Navy. One day she encounters a childhood friend named Jim Avery. Jim works on the brand new destroyer USS Atwood that launches from Boston. Soon mysterious sabotage claims arise and they include on the USS Atwood. Mary and Jim work together to discover who’s behind the sabotage. I loved this book. I literally could NOT put it down. I was intrigued by the historical element but also by the characters themselves. Both Mary and Jim deal with past hurts and lingering doubts throughout the story that only make them appear more real. Mary learns the difference between pride and displaying gifts/accepting praise in the story. She constantly thinks about where the line is and how far her actions have made her go over. Jim carries the pain of “making waves” from the time he was a kid to this point in his life. Because of an incident, he tries to be cool and just go with the flow. 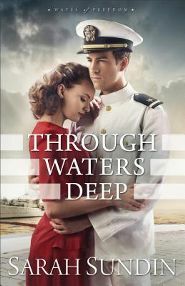 Being on a destroyer in the North Atlantic pre-World War Two is not exactly the place one should carry that philosophy, as Jim soon discovers. The decisions that are required to be made test Jim and his “floating” method. By the end of the story, Mary and Jim learn how and when to do the things that are required of them. I really loved these characters. At times I felt that they were real people. Sometimes, I yelled at them and told them what to do. To my dismay they did not listen, but I had to keep reading to find out what they were going to do to get out of situations. I like to save my five stars for books I absolutely love. This one was well deserving of all five. 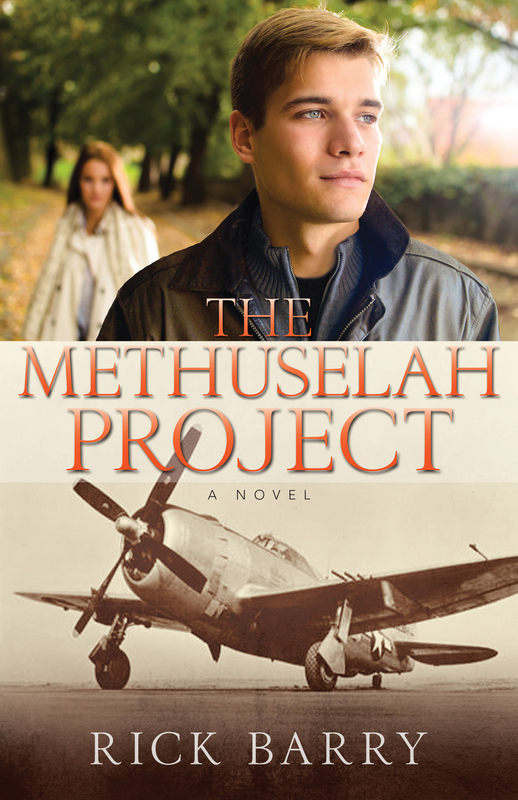 If you love World War Two, mysteries that need to be solved, or romance stories, this is the book for you. I received this book from Revell Reads in exchange for my honest review which I’ve provided here.